Our goal is to connect people with the best local experts. 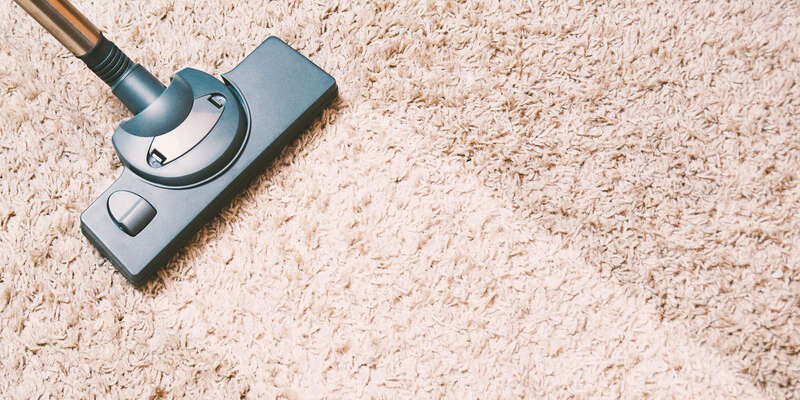 We scored carpet cleaners on more than 25 variables across five categories, and analysed the results to give you a hand-picked list of the best carpet cleaners in Birmingham, AL. Family-owned Alabama Carpet Care has been providing Birmingham, AL and its surrounding areas quality carpet and tile cleaning services for over 19 years; a full list of serviced areas is available on the company’s website. Using trained, certified, and licensed professionals, state-of-the-art cleaning equipment, and 100% organic solutions, Alabama Carpet Care also specializes in oriental rug cleaning, pet odor removal and treatment, upholstery cleaning, and water damage restoration for residential and commercial properties. The company takes pride in its number of referrals and strives to make clients’ cleaning experiences positive ones by offering a 100% customer satisfaction guarantee and a promise to return to resolve any problems if contacted within 30 days of service. Blake’s Carpet Cleaning has been providing services to Bessemer, Alabama and the surrounding area since 1996. Their services include carpet and upholstery cleaning, tile and floor stripping and waxing, water damage treatments, and pet and wine stain removal. Blake’s Carpet Cleaning prioritizes the customer by using the latest techniques and technology available in the industry to ensure customers receive high-quality service at an affordable rate. All technicians are licensed and continually trained, and services come with a customer satisfaction guarantee. Customers describe Blake’s Carpet Cleaning as prompt, friendly, and thorough, and appreciate their attention to detail, clean work, and professionalism. Cleaning Super Hero has provided floor cleaning and upkeep services in Birmingham, AL since 1984. They provide commercial and residential services such as carpet cleaning, upholstery cleaning, tile and grout cleaning, and natural stone care. Cleaning Super Hero is well-known in the Birmingham area for its convenient low moisture cleaning method which takes an hour or less to dry, doesn't use any hoses, and doesn't require any doors be left open. The owner and operator of Cleaning Super Hero is George Barnett, who has over 30 years of experience in floor cleaning. He is well-regarded among home and business owners for his reliability, speed, and uniquely long-lasting results. G & G Cleaning Services is a Birmingham business that has been serving residential and commercial customers in Jefferson County and Shelby County for more than 12 years. The business specializes in carpet cleaning, janitorial cleaning, commercial cleaning, and house cleaning. Services G & G Cleaning provides include carpet steam cleaning, house cleaning, and janitorial cleaning. The business cleans carpets, rugs, floors, upholstery, and more and cleans office buildings, schools, hospitals, and other facilities. G & G Cleaning Services is licensed, bonded, and insured. The business is available 24/7. Customers remark on their reliability, knowledge, friendliness, responsiveness, attention to detail, efficiency, prices, and honesty. Genuine Care Home Services is a cleaning and concierge company in Trussville that does not cut corners but cleans these instead. The establishment is one of Greater Birmingham’s newest providers, and it is a family-owned and operated trade that grows mainly by word-of-mouth endorsements from satisfied customers. The team provides residential and commercial clients with healthier living, working, and recreational interiors, and it consists of thoroughly screened and respectful personnel with years of combined field experience. Genuine Care Home Services guarantees the work quality of the crew, and it only uses proven techniques, non-toxic formulations, and modern equipment. The staff gives a free consultation, and it sells gift certificates that allow people to share the benefits of pleasant and safe interiors with family and friends. Based in the Trussville, Alabama area, Jarboe’s Carpet Cleaning has been providing a broad range of residential cleaning services for over ten years. Specializations include carpet and upholstery cleaning. All work is designed to remove soil, dust, and allergens that threaten the health of the home’s occupants. One published website testimonial raves Jarboe’s Carpet Cleaning for being affordable and always on time, recommending the service to any potential customer. According to Jarboe’s Carpet Cleaning, customers can make furniture or carpet look new again for just a fraction of the cost. Hours of operation are Monday to Friday from 8AM to 5PM. Spotless Professional Cleaning Services is a fully insured and bonded contractor in Trussville that covers various neighborhoods in the Birmingham metro. The company is a local business that understands the community’s need for pleasant and safe interiors, and it guarantees the work of the team to show its commitment to customer satisfaction and workmanship excellence. The establishment tailors the project to the requirements of clients, and it offers one-time and maintenance options. Spotless Professional Cleaning Services takes care of residential and commercial spaces, and some of the tasks are removing carpet stains, dusting the furniture, and vacuuming the floor. The shop sells gift certificates that people can share with their family and friends, and it does not charge for the onsite consultation and detailed estimate. Steam Works Carpet Cleaning is Birmingham, Alabama’s answer to the quest for healthy, professional cleaning and maintenance. Owner and operator, Jimmy Noe, has been cleaning carpets since 1997, and now maintains high-quality and trustworthy client relationships with his expert cleaning staff. Noe and the team offer cleaning and restoration services to residential and commercial places to prevent mold and mildew from humidity and the effects of dirt, dust, and miscellaneous irritants. They also strive to make sure that homes and businesses are free of stains, spots, odors and recurrent damage to carpets, area rugs, and upholstery. Steam Works, established in 2004, holds high industry standards and promotes a healthy environment for all clients, and promises to eliminate undesirable contaminants. To the Rescue is a cleaning and restoration company that has been servicing Birmingham, AL and its surrounding areas for over 30 years. IICRC-certified services include thorough cleanings of carpets, rugs, upholsteries, hardwood, tile, and stone. Residential and commercial locations can benefit from wall-to-wall cleanings and soil extraction from furniture and upholsteries. Ceramic tile cleaning and sealing treatments are available to rid grime and discoloration from grout. Specialists can treat hand-knotted, needlepoint, and machine-made Oriental rugs to remove soil with safe products and techniques. In the case of emergency flooding, To the Rescue offers clients water damage restoration, mold remediation, water extraction, and odor control. Additional emergencies services are available for fire or smoke damage and vandalism. Tru-Pro Steamers Carpet Cleaning is a professional carpet cleaning business located in Birmingham, Alabama that serves clients in the wider local metropolitan area, including locations in Chelsea, Homewood, Hoover, Cahaba Heights, Inverness, Indian Springs Village, Oak Mountain, and beyond. Locally owned and operated, Tru-Pro Steamers Carpet Cleaning provides clients with carpet cleaning services as well as tile and grout work. Tru-Pro Steamers Carpet Cleaning is focused on environmentally-friendly cleaning methods and can be contacted by phone or email to book an appointment. The company is praised by former clients for the quality of its work as well as its speed and friendliness. UTurn Carpet and Upholstery Care is a professional carpet cleaning company located in Hueytown, Alabama that serves clients in the surrounding metropolitan area. The company offers clients a wide variety of services, including carpet cleaning, upholstery cleaning, emergency water extraction, cleaning of area rugs and Oriental rugs, automobile upholstery cleaning, and tile and grout cleaning. UTurn Carpet and Upholstery Care is available for both commercial and residential clients and is fully licensed and insured. A family owned and operated company, UTurn Carpet and Upholstery care also cleans stairs and offers clients pet odor and stain removal services. The company can be contacted by phone or email.